I’ve been writing here, on and off, since May 2006. A long time. These days however the time I would normally spend writing here is now spent writing for my newsletter project, Five things on Friday. What started out as a weekly exercise in writing has grown and matured into a weekly publication that features most of what I’m passionate about all in one place. So, if you’re looking for the very latest thinking/reading from me, your best bet is to start looking over the past issues of Five things on Friday – all being well, that stuff will be bang up to date*. If you like what you see there and want to read more, then do please SUBSCRIBE. While the content from there will eventually make it onto Whatleydude.com, there will always be a delay (and you get more in the newsletter anyway – intros from me, gifs, extra analysis, and chat etc). So yes, thanks for visiting. If you’re looking to speak to me quickly, then you can nearly always reach me on Twitter (DMs are open). If not, then maybe I’ll see you on subscriber list of the newsletter sometime. *The posts below this one are examples of FToF but I doubt very much that they’ll be reflective of the latest work. Things of note for the week ending Friday, July 27th, 2018. Things of note for the week ending July 27th, 2018 (I’m taking August off so this is the last edition until September). 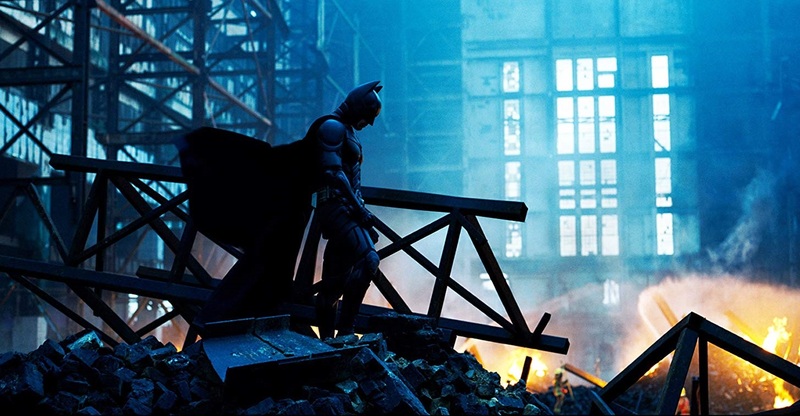 THE DARK KNIGHT is inarguably one of the greatest superhero movies ever made. It is ten years old this month and it still holds up. And this Village Voice article is a great look at its themes and why it still resonates so strongly today. 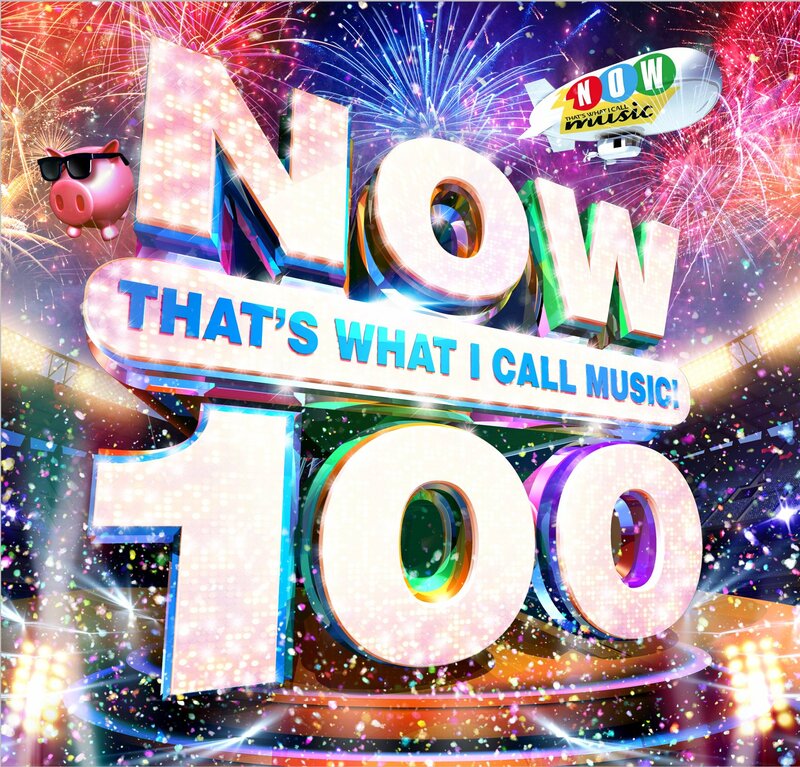 Here in the UK we have a music album compilation/tradition known as ‘NOW THAT’S WHAT I CALL MUSIC‘ – you can date someone within the nearest year or so by what their very first edition was and this month, NTWICM hit #100. To celebrate, the AMAZING Popjustice put together the DEFINITIVE NTWICM Spotify playlist – and it is effing phenomenal. Go listen to some bangers RIGHT NOW. National Public Radio in the US dropped its latest Smart Audio Report and it has some really interesting stats on the what and why people use smart home assistants – aka smart speakers. Nearly 40% of people purchase smart speakers to help them reduce screen time. The whole report is super interesting and definitely worth 15mins of your time to consume and consider. This week I learned about the documentary about THE NATIONAL called ‘Mistaken for Strangers‘ – up until I went to put this into the newsletter, I thought it was new. I was going to show you the trailer and then tell you how excited I was to see it. Turns out it isn’t new at all and that you could probably find it online quite easily. So I intend to do that this weekend. This week, Sega released a free update to the PS4 game ‘Sega Classics’. 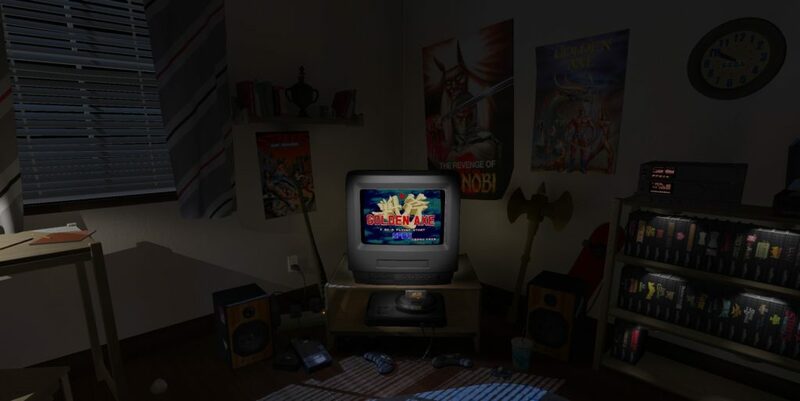 The update brings PSVR support to the game and the actual VR experience is that of sitting in an old bedroom from the 1990s and playing the classic games you grew up playing. Which, while funny, is a bit weird (you can see a video of it in action here). So there’s a general trend here. 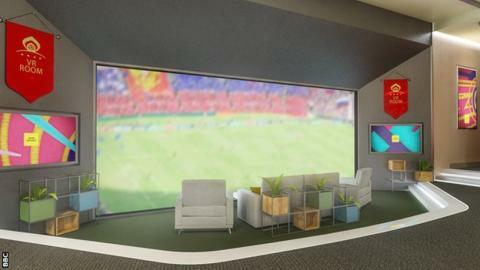 And here’s the BBC doing the World Cup. I really like that VR can take you away to different places and immerse you in new and fantastic experiences. 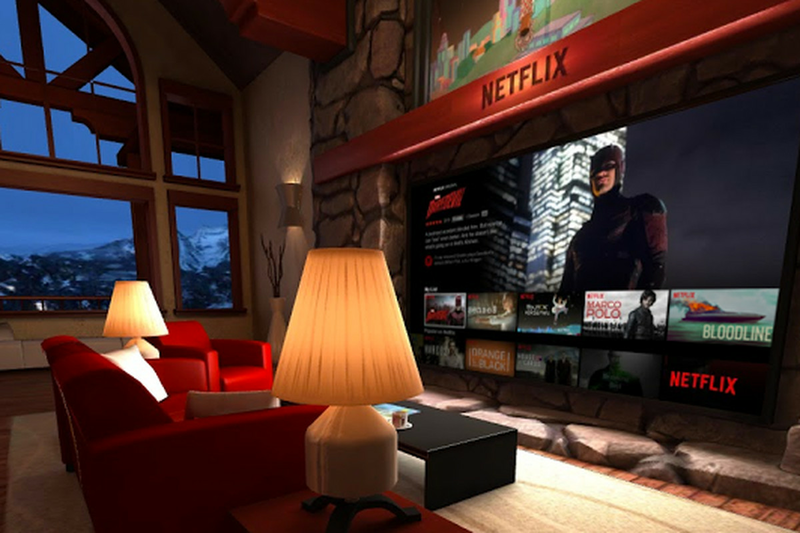 Sitting on a sofa and playing a game or watching a movie in a different environment to the one you’re in is not my idea of an amazing VR experience. I’m not sure I like it that much. So hurrah for free PSVR updates but boo to tacking on a room build to what is simply the standard app/game experience. 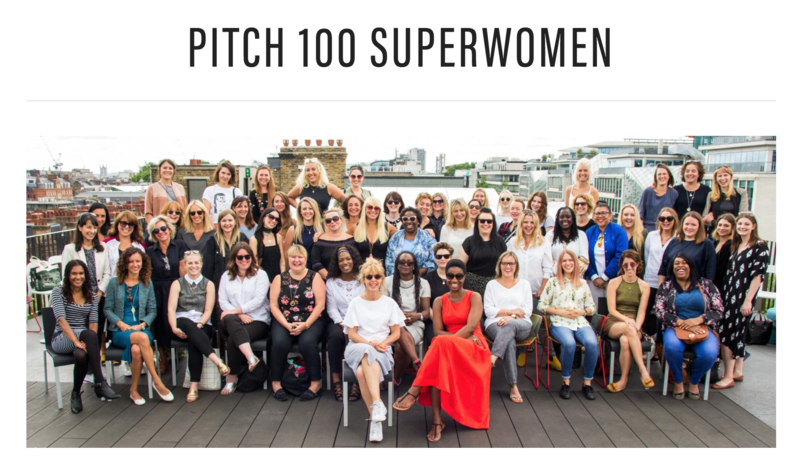 I got listed in this amazing source of brilliant newsletters. Yay. Things of note for the week ending July 22nd, 2018. LOOK AT THIS AMAZING PLANE! 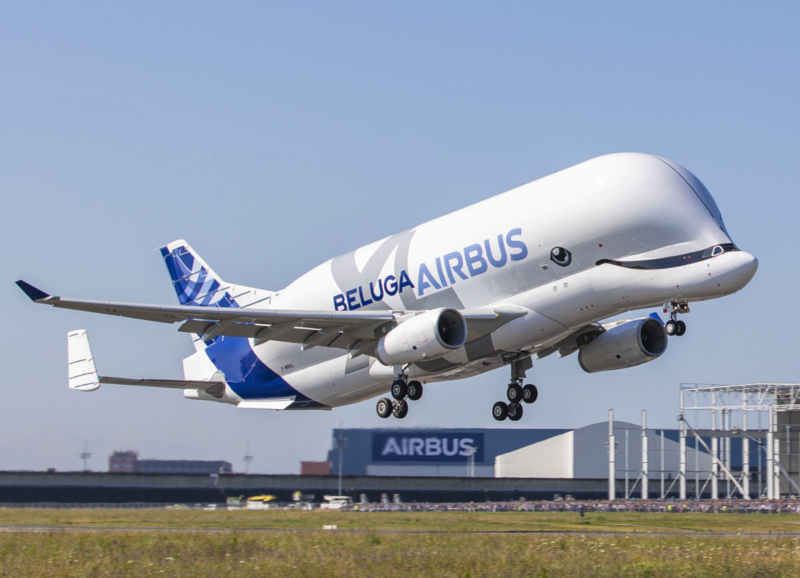 The AIRBUS Beluga XL is a thing of beauty (and you’re an idiot if you think otherwise) – it shouldn’t even fly, but it does! Stay with me, this isn’t completely gaming related. Honest. This piece appeared in my newsfeed last week and I opened it to read later as I thought it’d be dead interesting. It’s gamer related and I was intrigued as to what kind of ‘press kits’ could be so secret. I used to work in this world – a little bit – when I was at my previous agency (we made all sorts of magical kits/boxes/experiences for influencers so I can appreciate the effort that goes into them). Thankfully, the internet rarely forgets. The Wayback Machine managed to get a snapshot of said post and you can read the original post here. Having read the article, it turns out it’s basically an interview between Push Square and one of PlayStation Europe’s agencies. Not only does said agency reveal pretty much the entire working process as to how long they take to make these things, they ALSO casually mention a few of the others that they’re working on in the future. Can you imagine the angry email from Sony screaming at their agency to GET THAT ARTICLE DOWN RIGHT NOW? I can. If you’re in ‘the industry’ give it a read. And smile and be thankful that you weren’t on the receiving end of that email. Between the World Cup and Wimbledon, the BBC had its hands full with a ton of sport to choose from. 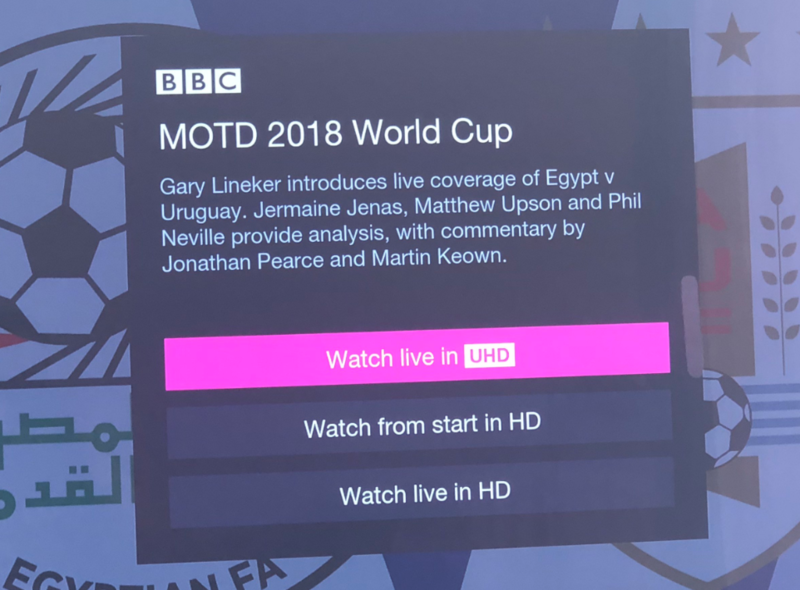 On top of that, it decided to use these two massive sporting event to stress-test its UHD capabilities, something that it has been playing with since the UHD trial went live on iPlayer last year. James O Malley at Gizmodo was invited into the Beeb to find out how it all worked (this is a great read, btw – super interesting). 4. HOW TOY STORY 2 GOT DELETED. TWICE. If, like me, you’ve Stephen Johnson’s book ‘Where good ideas come from‘, then you’ll know the second part of this story. The second part of the story is reasonably well known. The first part, however, that was new to me. The day that someone accidentally deleted 90% of the movie with a command error. As ever with these kinds of stories, it’s not the disaster that makes for brilliant reading – it’s what they did next that makes it happen. Ed Catmull’s response to it all is distinctly wow-inducing. Antony Ribot has been running his design agency for 11yrs. For its 11th anniversary, Ribot wrote a few things on what he’s learnt over the years and you can learn from it too. This Trevor Noah video response to the French US Ambassador has been everywhere this week but if you haven’t seen it, you should. ‘How the BBC lost the plot’ – this is a great read. Reminds me of a note I had to leave once (you’ll find it in the comments, after the story). Bonus bonus section of new movie trailers. Bohemian Rhapsody – yeah, up for this. SHAZAM! (just remember some of us nerds have been saying SHAZAM for ages, not just because a film made it popular). AQUAMAN – oh my God this looks TERRIBLE. GLASS – YES! (if you’ve not seen SPLIT, do so – also: UNBREAKABLE). Star Trek: Discovery S2 (not a film but I’m in for this). Fantastic Beasts 2: The Crimes of Grindelwald. On a related note to the intro of this week’s newsletter, The Fantastic Beasts VR experience on the Google Play store – the full experience, not the demo that rolled out with Daydream, has had an incredible 500 downloads. Things of note for the week ending July 14th, 2018. This essay, ‘The Beautiful, Ugly, and Possessive Hearts of Star Wars‘, is phenomenally good. Compulsory reading for both anyone that considers themselves a fan of Star Wars and anyone that even partly curious as to why there was [seemingly] so much hate for THE LAST JEDI. Spoilers, obviously, for all movies within. Know that name? No? He directed the excellent KONG: SKULL ISLAND and is also slated to direct the movie adaptation of METAL GEAR SOLID. I saw KONG, loved it, and then I think within days of walking out of the cinema, I saw this image from Tom Hiddleston – and I was like, I need to know who this guy is. So like any normal person living in the 21st century, I followed him on Twitter. And then last week, out of nowhere, he drops this (and yet another fantastic GQ profile piece). 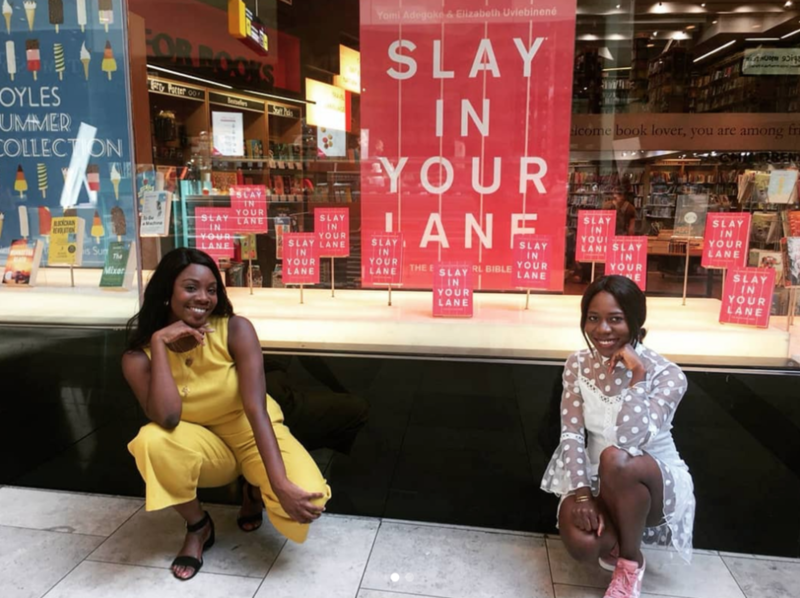 Yomi Adegoke and Elizabeth Uviebinene are the authors of SLAY IN YOUR LANE, a new book that talks about and gives insight to the challenges that black women face throughout every facet of their lives. VOGUE interviewed Adegoke and Ubviebinene – and it’s great. Read that then order your own copy of the book. EDIT: the Guardian interview is pretty good too. 1. I love this photo. 2. Next time you’re looking for a picture for a deck that says ‘People use mobile phones now’ – try this one. 3. The Verge’s take is simultaneously provocative and reductive. I won’t reveal what this link is about because if you haven’t seen READY PLAYER ONE then it completely spoils the surprise, not-from-the-book, and film’s best set piece by a while. Shelina Janmohamed on rising above her trolls. The UK is testing road signs that detect when someone in a car is using the phone. Serena Williams is RIGHTFULLY unapologetic (this is ace). Americans, on what it’s like to be a Londoner. Things of note for the week ending July 6th, 2018. One reply to a Tweet about standing up for women in adland and the next thing I know I’m being asked to be a mentor for this fantastic programme. This is how I found myself last week, listening intently to other mentors who were a lot smarter than me, in a room full of amazing women, offering mentorship and guidance with some of the issues that face this increasingly empowered workforce in our industry today. But like I said, it’s funny how one thing leads to another. When I made my intro to the room I, out of public-speaking-force-habit, began with ‘Good morning, ladies and gentlemen’ – which I caught as I finished, then self-corrected to ‘Er… sorry – good morning, ladies’ – cue: much laughter and general hilarity. It was all taken in good spirit too. I tweeted the faux pas later that day and ended up in a brilliant rabbit hole of ‘how to use more inclusive language at events‘ as well as a robust discussion whether arguing gender pronouns matter at all (see full discussion thread). The post linked above about more inclusive language is definitely worth a read. Especially if you speak at or host/organise events. I picked up this brilliant profile of the above-named singer/songwriter from Jed Hallam’s equally brilliant newsletter ‘Love Will Save The Day‘. Read both (and subscribe to the latter). First thing is to read this piece over at The Drum that talks about how the UK advertising industry has allegedly lost touch with the public (the full whitepaper that supports this article can be found here). The article makes a strong case that advertising has no idea what it’s doing, is obsessed with unproven channels, and basically has a major unconscious bias problem that prevents it from maximising effectiveness with any of the work it produces. All of these points have a grain of truth to them (with a healthy dose of ‘it depends’ appended to each). There are two main problems I have with the findings. Nowhere in the conclusions talk about the role of planners when it comes to insight-led creative work. The research only interviewed media agencies but goes onto making conclusions on the entirety of adland (no creative agencies were spoken to). There is a meaner point you could make about how a research paper about bias is biased towards the channels the media owner behind it specialises in – but as I said, that’d be mean. Current status: discussion time with the authors. 4. IT’S COMING HOMEBig love to the team at work who pulled this out of nowhere over the past 48hrs and managed to get it into press today. Whatever happens today, this is great. 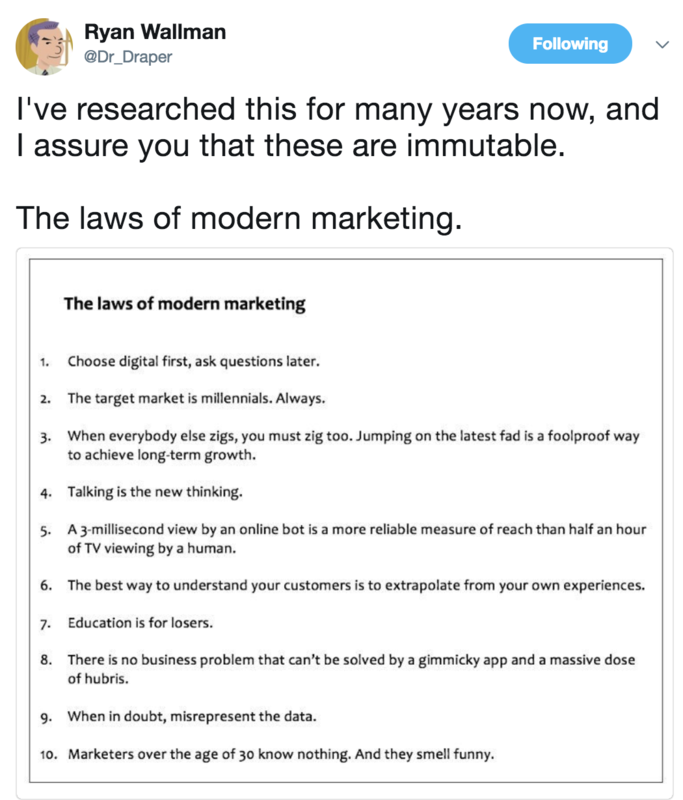 Speaking of adland (again) – I agree with this. Also timely, Rory Sutherland on penalty shootouts. ‘It’s nothing like a broken leg’ is a visceral look into what it actually means to suffer from a mental health problem (vivid language means this might be a hard read for some). Things of note for the week ending June 29th, 2018. 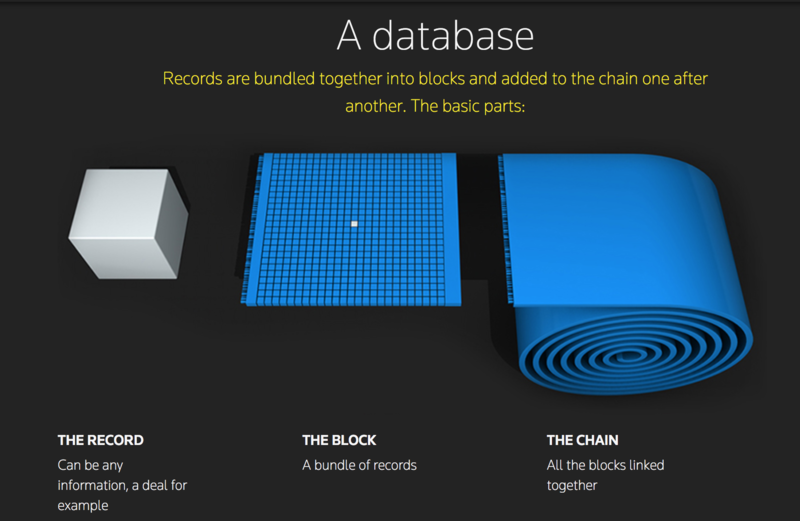 If you don’t know what Blockchain is – AND IT’S OK IF YOU DON’T – Reuters recently put together this rather smashing overview of exactly what it is, how it works, and just how well it can be applied across multiple uses (outside of crypto-currencies). Simple to read. Simple to understand. Good job. Feeling low? That’s OK too. If sometimes you struggle – and hey, we ALL do, then maybe take a look at this thoughtful self-help step-by-step guide that I counsel all of you to take some time to look through. I have it saved now. I have strong reservations about this Buzzfeed article, that reads like a PR puff piece (sorry not sorry), for Twitter. The author manages to write 2000 words on why Twitter is profitable when literally one word will do. That word is only used twice in the whole piece but it is hella called out in the comments. I’ll give you a clue: it rhymes with DUMP. 4. LOOSEN UP THAT CREATIVE PROCESS, YEAH? Dr Ryan Wallman – aka ‘Dr Draper‘ – is one of my favourite people to follow on Twitter. Smart and provocative with it – his no-nonsense approach to the creative process is matched only by his disdain for the pomposity that comes along with it. In a rare sub-280 character moment, Wallman wrote this piece for Marketing Week this week, extolling the virtues of giving agencies space for their individual creative process. Understanding that ‘the work’ isn’t always FOR YOU and that testing isn’t always (if ever) right. Did you know that last month, Pokemon Go generated over $104m in revenue? That’s up 174% YOY. Source. Did you know that 147m people played Pokemon Go last month ALONE? Not bad MAUs at all. Source. And, to top it off, Niantic – the makers of the eponymous title – not only have other, similar games in the pipeline (Harry Potter has been announced) but is also working on improving the AR tech and making it all a lot less floaty. They call it ‘occlusions’ and it looks a little like this. The reason I’m telling you this? Basically, anytime ANYONE talks about AR, eventually, Pokemon Go will come up in conversation and, as sure as day follows night, someone will say ‘Yeah, but that’s dead now, right?’. Now you can put them right. Terry Crews says why he didn’t push back. Christ. TERRY CREWS. I’ve spent a lot of time talking about the men being called out. This NYT piece is about what happened next to the women who said ‘Me Too’ – and it is this edition’s essential read. 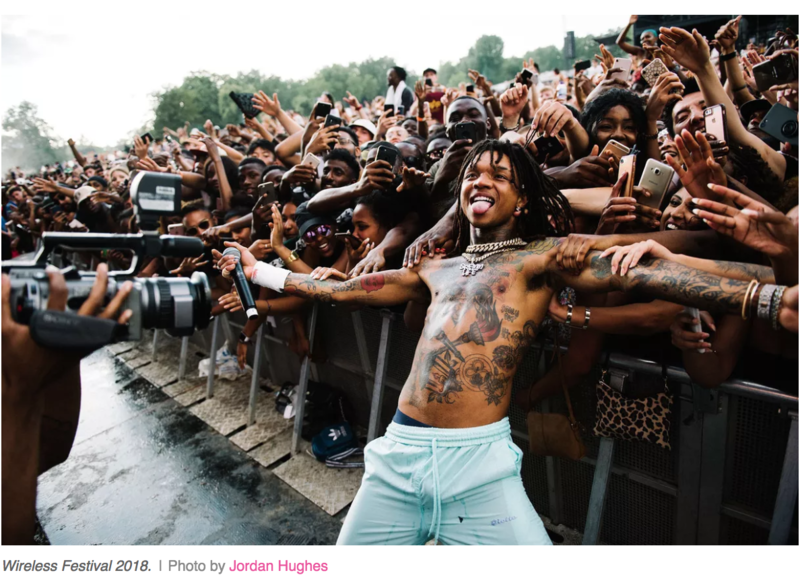 Some Instagram TV stuff: I contributed to two pieces, one for the Ogilvy website (pre-formal announcement of IGTV) and again, after, for WIRED, after the fact – this time with a broader look at the online video landscape. A bit late to the news cycle now but this two-year-old Quartz pieceprovides some good background on the whole LUSH COSMETICS thing that kicked off a while back. Oh! This is important – AD TRANSPARENCY has arrived, both on Twitter and Facebook. For the former, you can go to its new Ads Transparency Center and for the latter, well, it only just announced it – so go read. This is a good step in the right direction towards combatting the spread of fake news but it’ll be a lot more effective once it applies to ads that have ran, vs those that just happen to be live now. Another latecomer – Wadds did a good write up of the Meeker trends that matter (worth a read – as ever). This Neville Southall interview is FANTASTIC. Anna. The trickster. You may have heard about this article already. If you haven’t read it yet – do. It’s great. Sharing this list for two reasons. 1. It’s a great list of GREAT talent. 2. I have a friend on it and I AM SO PROUD. Going to Cannes this year (for the advertising/creativity festival)? Don’t seem to have a Y chromosome about your person? Then hey, wear black yeah? 4. THE CULTURAL VANDALISM OF JEFFREY TAMBOR This is an important piece (and here’s a link to the original NY Times piece that it stems from – read both). I know people that can separate art from artist. I have tried. And I don’t think I can. This piece puts it very well indeed. The Atlantic, being interesting AF. More on Scott Hutchison (please read). Another reason why I will probably end up getting a 4K Blu-Ray player(even though I know I shouldn’t). Meant to share this a couple of weeks ago – Wile E. Coyote in Augmented Reality is another glimpse into the AR future that is COMING. If, like me, you spent your youth playing Street Fighter II (CE/Turbo/Super etc) then you’ll love this 27k word article covering every single game in its history. I did.